I hope the Holidays are going well for everyone! As I mentioned in my previous post, Eric and I are working on our first game. We, like many other beginners, set out with a vague and nebulous concept of the feeling of the game we wanted to make. The astute reader will pick up on the obvious item we missed: designing the game. What wasn’t immediately apparent to us was that we weren’t really building a game because we hadn’t defined what the game was – not even the basic object (i.e. how you win or lose) let alone the rules and mechanics…We were diving into polish (animations, effects etc.) before we even agreed on the scope of a working prototype! It’s a common mistake for beginners like us to go into too much elaboration too quickly because it feels good to see a result that resembles a finished (read: polished) product. What we were doing wasn’t play testing because there wasn’t a game to play – instead, we were simply validating pieces of code. The fact is, a game doesn’t need fancy graphics, particle effects, sound effects and background music to be a game (e.g. Pong). At this point, I halted work and called for a meeting with Eric to hammer out the game mechanics, then create a working prototype. Eric comes from a creative writing background and isn’t troubled by ambiguity; he never questioned why or how the exploding barrel would get to the bridge, and what tactical or strategic purpose destroy a bridge would serve in the context of the game. Instead, the novelty of this scenario was self-evident to him and required no explanation. When I asked him to describe the game to me, and what I got, while interesting from a story/scenario perspective, was conspicuously lacking a clear definition of what the game was. Beaster’s Dungeon (my working title for the game) is a 2D platforming game where the player must stop oncoming hordes of peasants and heroes from reaching your treasure by collecting resources and plans needed to create and place deadly traps and obstructions in their path. The player “wins” by destroying all enemies before they reach the treasure, and advances to the next level. The player “loses” by either dying (taking too much enemy or environmental damage) or one enemy reaches the treasure. Obj_Beaster: We needed an object to control the player character on screen. The object must be able to navigate in a 2D environment (move left, right, jump, collide with other objects). Obj_[EnemyName]: We needed at least one test enemy that followed a set path to the treasure, stopping only to attack obstructions that got in it’s way. For pacing reasons, enemies would need to give the player a 90 second head-start to collect resources and place obstructions/traps. Obj_Wall_Destructible: This was an afterthought, but seemed like a good way to allow the player to control the pace of the enemy horde(s) to give traps more time to kill them. 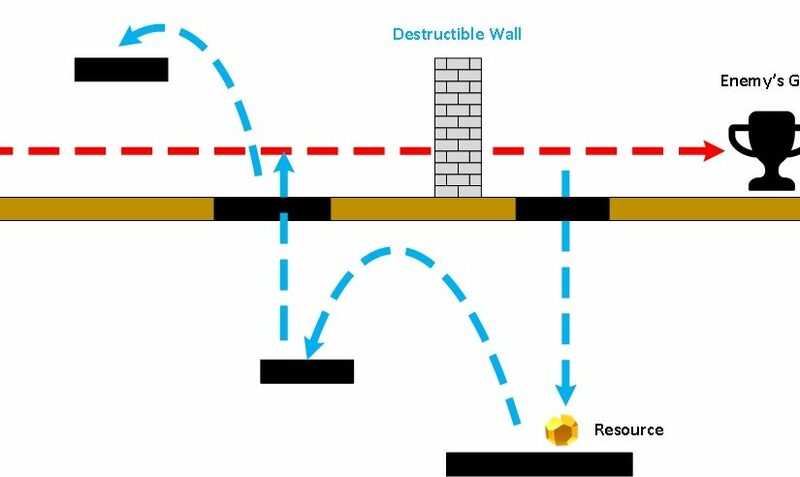 The wall would take x# of hits before crumbling and allowing the enemy to continue on it’s path. Obj_[TrapName]: We needed at least one trap that damaged an enemy that collided with it. The player would be able to place traps when he had collected both the trap’s “plan” (recipe) and a sufficient number of resources to build said trap. Obj_[ResourcesName]: We need at least one resource object that, when collected, adds +1 to a resource counter. When a trap that utilizes that resource is placed, it adds -1 to the counter. Obj_[PlanName]: In order to create a specific type of trap, the player must first possess the “plan” for that trap. This object would update the player’s inventory to establish whether or not the player is able to place said trap. Rm_TestLevel1: GameMaker studio utilizes “Rooms” to create environments where objects, backgrounds and tiles exist. You can think of these as the “level” where all of action is taking place. The level would need to have a clear path from point A (the origin of the enemies) to point B (the treasure) with enough room for the player to set up his gauntlet. It would need at least 1 trap plan, and be populated with sufficient resources to construct enough traps to kill all incoming enemies. Once these components were present and behaving as described, we would have a prototype to test the basic functionality of the game. Metroidvania refers to 2D platform exploration. This is where resources and plans come into play; they are placed in such a way as to encourage the player to get off the beaten path and explore to sprawling dungeon. Since the game happens in real-time (not turn-based), the player has to manage the tasks of collecting resources and placing traps while the enemy is slowly advancing toward the treasure. Note: The game has gravity (i.e. not a top down 2D game, such as Legend of Zelda) so the player falls when moving off of a platform. To keep the player from getting into an unwinnable/unloseable game, the enemies would have to follow a set path while allowing the player freedom of movement the enemy doesn’t have. To that effect, the player and move left, right, jump up onto platforms to get to areas above the enemy, and drop down from specific platforms to those below the enemy (think Contra). Lemmings in Reserve is the notion that it was more fun to deliberately kill the Lemmings than steer them to safety, and is key to bridging the gap between a classic 2D platformer and a pure tower defense game. If the enemies were left to freely roam the dungeon looking for the player or the treasure, it becomes possible for them to wander into a place they can’t get out of, rendering the level unwinnable (and unloseable). Tower Defense is the most ubiquitous description for idea of using “traps” or turrets to destroy oncoming enemies. We felt that this genre had been done to death, and wanted to introduce the exploration component as a way to add challenge and depth to an otherwise dull experience. Predictions? Too early to tell, but once we have a working prototype, we can determine how pacing will work. From early “play tests” we’ve done, I can already tell that we will have to have some kind of mini-map or other visual indicators to let the player know that the enemy is attacking and where. It’s too easy to get lost in the labyrinth of the resource floors (i.e. platforms outside of the enemy path) and not know where the enemy is and if you are in danger of losing the level. There’s got to be balance between the exploration and trap setup portions so that the player has to do both and will be rewarded for good time/space management. After a long hiatus, we’re finally back with a long post, TL;DR be damned, dammit! I say ‘we’ rather than ‘me’ because I’m now working with an old and dear friend of mine, Eric. I’ve since moved my old posts from veritastoad.wordpress.com to my own web server, and custom URL. Eric and I have been friends for nearly two decades, and had collaborated on several projects dating back to my first attempts at video game development some 14 years ago. Dissatisfied, over-educated and unemployed, both of us were looking for a way out of grind. Never has there been a better time for indie game developers to jump in and make great games – we are hoping to follow in the footsteps of the likes of Derek Yu, Scott Cawthon, and Locomalito. As I’ve lamented previously, I am simply not a “triple threat”, which is to say that I while I am a mediocre artist and a decent composer, I am not a programmer. That’s where Eric comes in – with a degree in Electronic Engineering, Eric has had a lot of exposure to programming (or at least more than I have), and volunteered to try. We still needed a game engine, and since GameSalad dropped it’s free-to-use model, we sought out other alternatives, eventually settling on GameMaker Studio. We had a brief false start around June of 2016. 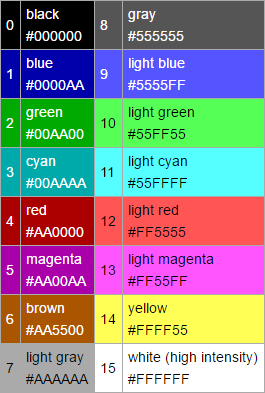 Creating graphics confounded me for reasons I couldn’t explain at the time, but now better understand (more on that later). My first attempts at pixel art were terrible, and I simply didn’t know how to go about creating a sprite sheet. 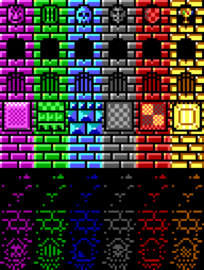 While looking for free-to-use artwork to help me get started, I stumbled upon Locomalito’s sprite sheet for l’Abbaye des Morts on OpenGameArt.org, and through that, the game itself. This lead to us trying out our hands at an unofficial sequel of l’Abbaye des Morts nominally entitled, Monk’s Revenge.Within about 2 weeks, we had a complete design document created, a few level iterations using the original sprites and some modified graphics. The objective wasn’t to make money but to practice and learn. Unfortunately, this project was interrupted by my relocation back to the US, and between that and Eric’s workload for his Master’s degree classwork, our progress was mired. When we picked things back up about a month ago, our mutual interest in creating Monk’s Revenge had since diminished in favor creating an original title. We’d learned all we needed to from it, and it didn’t seem worthwhile to move ahead knowing that it would always be shackled by licensing requirements as derivative work. Instead, we hashed out a new game idea and Eric got to work on the new design document while I delved further into the alchemy of pixel art. 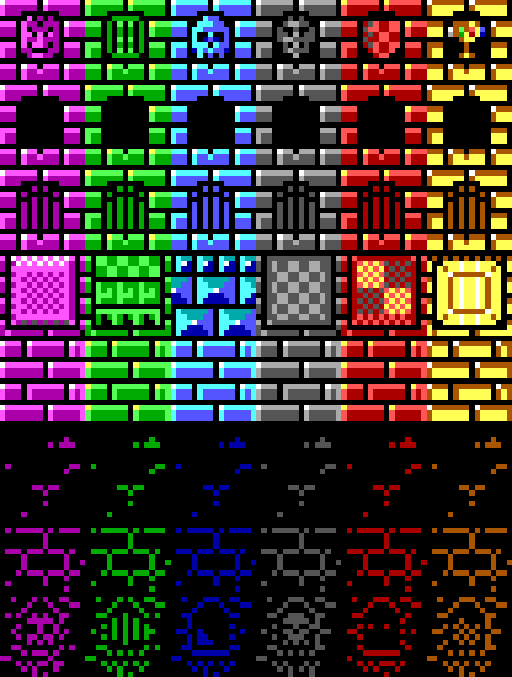 The building blocks of the world(s) we will go on to create were starting to take shape, and my confident in my ability to create pixel art was starting to grow. So what’s next? Expect more updates as we wrestle with new challenges creating our first game, Beaster’s Dungeon!